Non-enveloped, head-tail structure. 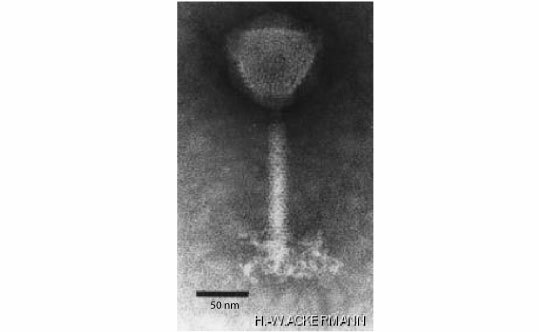 The capsid is about 108 nm in diameter and has a T=16 symmetry . The tails is contractile, about 140 nm in length, with brushy tail fibers. Linear, dsDNA genome of about 145 kb, encoding for approximately 200 proteins. Genes are transcribed by operons. 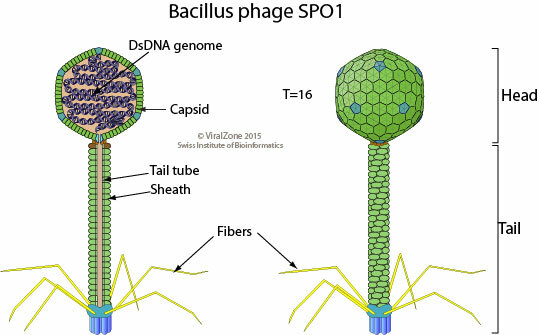 Ejection of the viral DNA into host cell cytoplasm by contraction of the tail sheath. NATURAL HOSTS Bacteria (Bacillus and Lactobacillus).